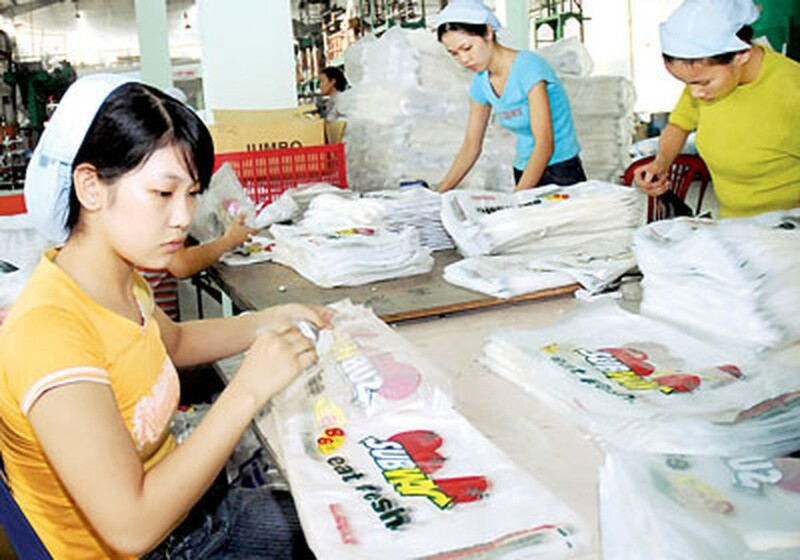 Le Hoang Quan, chairman of the People’s Committee in Ho Chi Minh City, said that the City’s socio-economic condition has shown positive changes in the first quarter of the year, with a healthy growth rate in many sectors. He was speaking at a meeting of the People’s Committee, in which Thai Van Re, director of the Department of Investment and Planning, agreed that the City’s economy was showing signs of recovery. Gross Domestic Product grew 7.6 percent to reach nearly VND113 trillion (US$5.4 billion), compared to 7.4 percent in the same period last year. Le Van Khoa, deputy director of the Department of Industry and Trade, said that economic growth was now more positive. The service sector has grown eight percent, over the same period last year, industrial and construction sector 6.6 percent and agricultural sector 4.5 percent. These results have partly proved the effectiveness of the price subsidized program, he said. Foreign Direct Investment also saw an increase, reaching nearly US$500 million in the first quarter. Most FDI projects concentrated in production and the service sector. The City licensed 65 new projects with total registered capital of $234.5 million during this phase. Besides, 4,823 domestic businesses were licensed with total registered capital of VND17 trillion ($812.43 million). The numbers of businesses stopping operations have reduced compared to the same period in 2012 and 1,830 enterprises have asked to resume operations after suffering setbacks. Mr. Khoa said that the inventory in several groups of commodities like processed food, beverages, footwear, garments and chemicals has gone down. Export-import turnover was higher than in the same period last year with export turnover reaching more than $6.5 billion, up 12.8 percent. Several businesses in fields like wood and handicrafts, garments and shoes have received orders until the end of the second quarter this year. Some have even got contracts until the end of this year. Besides these achievements, the City People’s Committee also listed some difficulties in the first quarter. They include a high number of businesses stopping operations, stagnant stock and real estate market, and low purchasing power. The tax reduction and exemption policy has also directly affected the City revenue. Traffic safety and order has not improved much and slow site clearance has affected the progress of several projects. At the meeting, the City proposed several measures to boost the economy. Of the measures, the City will coordinate with the State Bank to resolve difficulties in interest rates for businesses and give loan priority to five fields including agriculture and rural areas; production, trade and export; support industries; small and medium enterprises and businesses applying for high technology. The gold and foreign currency trade will also be inspected. The City will strive to complete several traffic projects and speed up site clearance, compensation and progress of main works including Tan Son Nhat-Binh Loi outer belt road and Hanoi Highway. Nguyen Thi Hong, deputy chairwoman of the People’s Committee, said that in order to obtain socio-economic targets this year, district authorities should have plans to collect tax at the right time. They should also pay more attention to solving difficulties for businesses and help them access low interest loans.